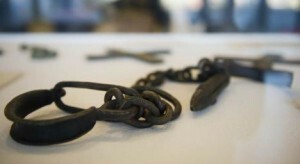 “The history of the slave trade tells not only of the suffering endured but also of the ultimately victorious struggle for freedom and human rights, symbolized by the slave uprising in Saint-Domingue on the night of 22 to 23 August 1791,” said UNESCO's director-general, Irina Bokova, in a message to mark the International Day for the Remembrance of the Slave Trade and its Abolition. This year's Day commemorated the 210th anniversary of Haiti's independence and the 20th anniversary of UNESCO's educational and cultural programme, the Slave Route Project, a pioneering project that has helped to accelerate research and raise awareness of the history of slavery and its consequences. UNESCO's educational and cultural programmes and support for historical research are intended to highlight the wealth of the traditions that African peoples have forged in the face of adversity – in art, music, dance and culture in its broader sense, creating indissoluble ties between peoples and continents and irreversibly transforming the face of society. This heritage is invaluable for living in peace in our globalized world on the eve of the International Decade for People of African Descent (2015-2024),” said Bokova, adding that transmission of this history is an essential condition for any lasting peace based on mutual understanding among peoples and full awareness of the dangers of racism and prejudice. “It also helps us to continue mobilizing against modern forms of slavery and trafficking in human beings that still affect more than 20 million people worldwide,” she said. Bokova noted that UNESCO is contributing actively towards the design of a Permanent Memorial to and Remembrance of the Victims of Slavery and the Transatlantic Slave Trade, to be established at the United Nations Headquarters in New York. “I call on all member states and partners of UNESCO, in schools, universities, the media, museums and places of memory, to mark this International Day and redouble their efforts to ensure that the role played by slaves in winning recognition of universal human rights is better known and taught more widely,” she said.